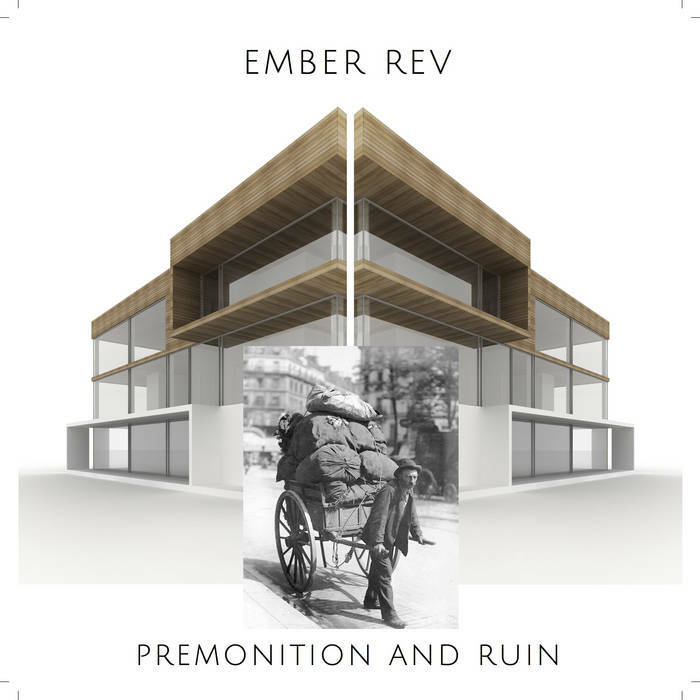 Cambridge four-piece Ember Rev are currently finalising their third LP, but this excellent previous release from early summer this year is well worth considering first. It is a concept album inspired by the state of the nation, with a feel of reflective and thoughtful protest. 1. Bring It Right Down Based on overheard conversations during train journeys by band leader Dan Ecclestone he has distilled the sentiments and current attitudes to political developments into a disruptive, edgy opus of powerful and personal imagery. The instrumental spikes are partly tempered by the rocking accordion of Chris Peckham and Dan’s vocals remind me of Tom Robinson at his protesting finest. 2. The Fear Another track where you can’t quite pin down the time signature this one broods into a descending guitar figure and hookline of paranoia and warning. There is a good featured voice contribution from Romy Gensale too. 4. Papillon The title is a reference to a quotation from Alexander Pope;’Who breaks a butterfly upon a wheel?’ and famously referenced when Mick Jagger and Keith Richards were given a prison sentence in 1967. Mix those allusions in with a stately strolling accordion rhythm, loping bass, spacious drumming then suddenly a huge chorus crashes in. The pensive, questioning lyrics lead the song to its downbeat conclusion. 5. My Sentiments Exactly The polyrhythmic undercurrents of much of the album are given free range here, with complex drumming driving the jazzy feel of the tune and another excellent vocal performance from Dan Ecclestone. 6. England’s Finest Hour The finale of the album unifies many of the musical styles we have heard previously. The forthright lyric links a historical context to the present day with the resigned multi-lingual words expressing solidarity with the European continent. This entry was posted in Music and tagged album, Cambridge, Ember Rev, LP, review on September 25, 2018 by iknoweno.